La voile Solo est une voile école. Elle a été pensée pour durer dans le temps et pour être utilisée par les écoles en toute sécurité. Comes standard with 525 lbs. DACRON lines, soft links and a slider with “super lightweight” stainless steel grommets. Made completely from ZP fabric to maintain consistent performance. Handling characteristics tuned to provide a smooth transition as the student prepares to downsize. Available sizes: 190, 210, 230, 250, 270 and 290 sq ft. It is all about confidence and reliability. 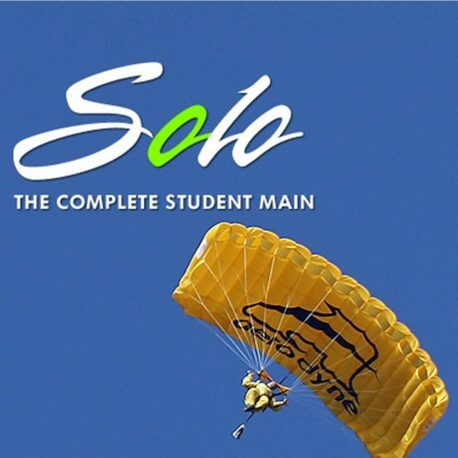 Whether you are a drop zone owner or a first jump student, the last thing you need to be concerned with is your equipment. 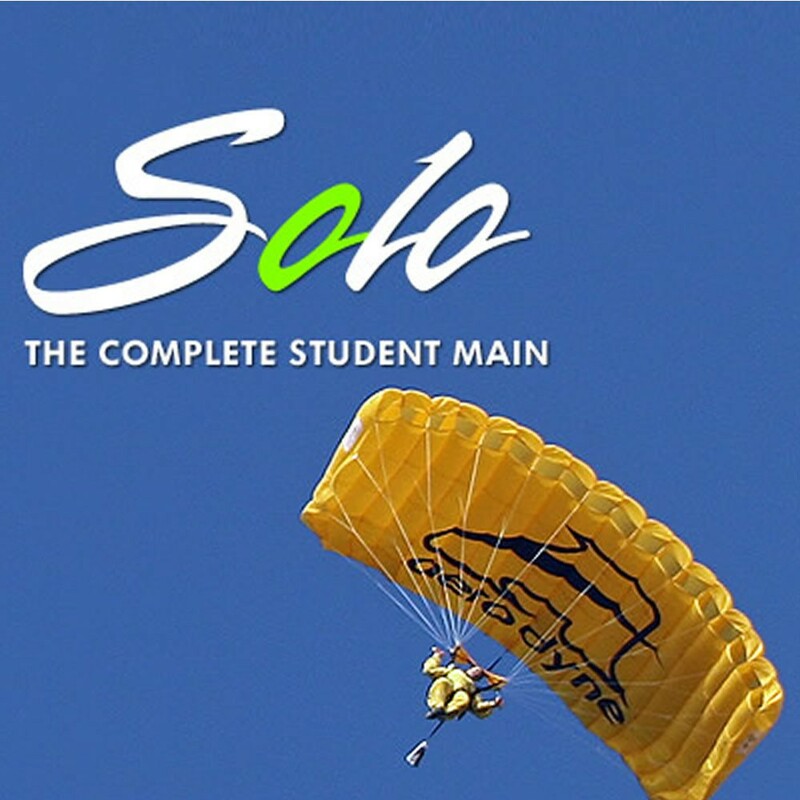 The Solo student canopy can give you that confidence. Strong where it needs to be, forgiving when it must be, the Solo provides all the characteristics needed for successful student training. The Solo is durable, with extra reinforcement, while being easy to pack. Its opening, flight and landing characteristics have been tailored to allow you to teach your students proper piloting skills. As the student becomes more experienced and is prepared to downsize, the Solo’s design allows for a natural transition to our Pilot canopy. This allows the novice canopy pilot an easy and straightforward transition from student equipment to their own, without the need to “re-learn” the canopy’s characteristics. This provides a much safer and more enjoyable transition, with continued learning. We have even built in visual cues to allow for easier PRO packing training. By utilizing color-coded line attachments, the student learns proper packing techniques in much less time and with greater confidence. 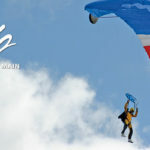 Note: The above numbers are recommendations based on the global use of similar canopies, and taking into consideration different training techniques, experiences and other varying conditions. Therefore the recommendation range may be varied based on individual and local training techniques, field elevations and prevailing atmospheric conditions. This canopy selector program is designed as a non-exclusive guide to selecting a canopy. 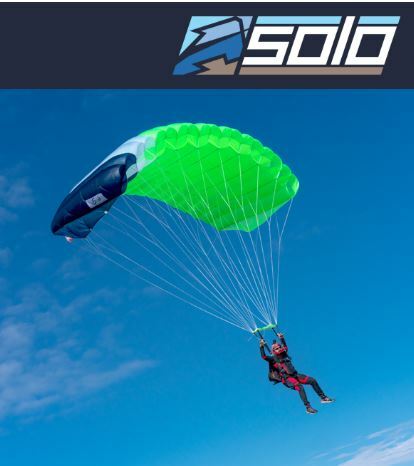 It is designed to be used to assist you in finding an appropriate model and size of Aerodyne canopy for your exit weight, experience level and expectations. Please remember that in no way can this selector replace professional expert advice that is based upon firsthand knowledge of your current experience, skill level and frame of reference. Only training, experience, currency and a healthy body and mind can reduce (but will not eliminate) the risk to you of danger, serious bodily injury, or death. Regardless of your time in the sport, never hesitate to consult other more experienced or knowledgeable individuals. They are often happy to help you make appropriate decisions. 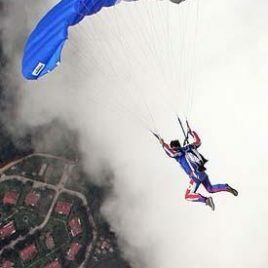 At Aerodyne, we recommend that, for both your main and your reserve canopies, you choose a canopy suitable for your experience level, which you can land safely at your normal drop zone’s field elevation, in no wind, in hot summer conditions, utilizing a normal straight-in approach and progressive flare. Please note that this selector is based upon exit weight and International Standard Atmosphere (ISA) conditions. Exit weight is body weight + equipment weight + clothing. ISA conditions are at Mean Sea Level (MSL) with a temperature of 15 degrees Celsius and 101,325 Pa (29.92″ Hg). Canopy wing performance degrades at higher altitudes and with higher temperatures. Aerodyne has developed an objective method to determine the degree of ellipticity of a canopy’s planform. We have dubbed this value the “planform factor” (“PF”). A higher planform factor equates to a greater degree of ellipticity and will likely exhibit the associated characteristics. Typically an elliptical canopy is more equally pressurized for better flight performance and exhibits better flare capability. Similarly, the toggle pressure is usually lighter and the turn response is quicker. While these observations are not absolute, they are often typical of those exhibited by canopies with more elliptical planforms. 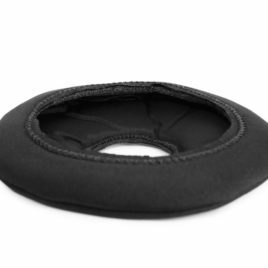 Protection disque pour les sac-harnais Tandem UPT Sigma. Les frais de port sont en sus et à calculer selon l'adresse de livraison. La Pilot Aerodyne est une voile 9 caissons fabriquée en tissus porosité zéro. Le choix idéal pour des parachutistes de niveau intermédiaire ou confirmé. La sac Icon Student est un sac école pour les élèves exigeants. Le choix des Champions. Sur devis uniquement. Tarif à titre indicatif.